NEWPORT, Ky. — Ring of Fire, an all-new immersive exhibit will open this spring. The exhibit will highlight the mysterious creatures that make their home along The Ring of Fire where towering volcanoes and deep ocean trenches line the Pacific Ocean rim. Guests will explore the new space filled with some of the most fascinating creatures in the ocean, the Giant Pacific Octopus, Moon Jellyfish and Japanese Spider Crabs. They will discover their amazing shape-shifting, color-changing, exoskeleton-shedding behaviors that all take place in this constantly changing ecosystem, where fire meets water. As we prepare to set our clocks forward one hour this spring, the Antarctic is preparing to enter winter and say goodbye to the sun. The Antarctic is on an opposite schedule than the United States. As things get warmer for us, things are vastly getting colder in the South Pole. Because the earth’s axis is tilted, the Antarctic only has two seasons: Summer and winter. During their summer (Late October through Mid-March) the sun doesn’t fully set while in the winter (Mid-March through Late October) the sun doesn’t rise. How do we keep our penguins on this cycle? The lights inside of the exhibit are slightly adjusted each week to mimic the lights of Antarctica. This helps keep the penguins in their natural cycle and exposed to a consistent photoperiod as if they were in the South Pole. Why is it important to the penguins on this cycle? It keeps the penguins on their natural cycle by promoting proper breeding and molting cycles. While penguins have reproduced under the care of institutions that chose to use an ON/OFF switch for their lights instead of mimicking the lighting schedules, the Association of Zoos and Aquariums (AZA) reported enhanced reproductive success with varying annual day length and light intensity. Ric Urban, Newport Aquarium’s Chief Conservation Officer and a member of the AZA’s Penguin Taxon Advisory Group Steering Committee, said that this also helps the penguins if they’re moved to a new AZA-Accredited institution. It keeps continuity with the penguin and creates a shorter adjustment period inside their new home. If Newport Aquarium follows the seasons, will guests be able to see the penguins? Absolutely! We still have lights on in the exhibits which usually start to dim toward the evening hours, around Newport Aquarium closing time. And like Newport Aquarium, most institutions don’t just mimic sunlight, but also moonlight! The illumination is still bright enough for guests to see our penguins waddling and swimming inside. Guests can see one of the most diverse collections of cold weather penguins at Kroger Penguin Palooza 365 days a year! At Newport Aquarium, we have five species of cold weather penguins under our care: Chinstrap, Gentoo, King, Macaroni, and Southern Rockhopper. Guests can also see our African Penguins with our Penguin Encounter, an additional 20-minute experience inside the penguin house where you can get close and maybe touch one! While Leap Day’s true purpose is to keep the year aligned with the seasons, animal lovers across the globe are using it to celebrate the world’s best leapers, FROGS! We can find our leaping friends around the world on every continent except Antarctica. The Romans believed frogs brought good luck into their homes while the native Aborigines of Australia thought frogs brought rain, which would help their plants grow. Now a days, they can be found close to water areas like ponds, lakes, swamps, and marshes. Frogs are a member of the amphibian family. Amphi means both while bio means life which refers to frogs living both in water and on land. The frog’s life cycle starts as an egg which is hatched into larvae (or “tadpoles”), as the larvae grows it develops its back legs, then its front legs, and finally emerge from the water. This process could take anywhere from 2 weeks to 2 years! Frogs are important to the earth for several reasons. First, they are an indicator species. This means we can look at frogs in a specific area and determine how well it’s doing. If the frogs are thriving then nothing needs to be changed, but if they are struggling with survival then something is wrong with the ecosystem and immediate action is required. Second, frogs are both predator and prey. They serve as food for many animals such as birds, snakes, and large fish. But, frogs help control the population of insects, eating a variety of spiders, mosquitos, flies, and sometimes mice. Frogs are known for using their long sticky tongues to catch their food. Their tongues are about a third of the size of their body. If humans had the same tongue, it would reach all the way to our belly buttons! And lastly, frogs are very beneficial to human medicine. Since ancient times, frog skin has been used to help regrow skin. It was also believed that the oil secreted from frogs contain a pain reliever and help strengthen the immune system. More recently, it was discovered that compounds from their skin could be the key to treating cancer and HIV. Chytridiomycosis- a fungal disease that affects about 30% of the amphibian species. Leap into action by becoming a FrogWatch USA volunteer with the WAVE Foundation at Newport. Aquarium. FrogWatch USA is a citizen science program of the Association of Zoos and Aquariums (AZA), is always looking for passionate individuals to help collect data on local frogs and toads. FrogWatch USA trains volunteers to identify local species, listen for their calls and teach them how to report their findings. Leap day only comes once every four years, come spend your extra day leaping in Newport Aquarium’s Frog Bog, which is sponsored by CET and Think TV. You can see over 15 species of amphibians, play giant Frogger, and discover the sounds of frogs and toads from all over the world. There are more than 20 Green and Black Poison Dart Frogs in Frog Bog, along with nearly 20 species of exotic frogs from around the world. NEWPORT, Ky. — Newport Aquarium is celebrating Veterans Day with a week of festivities sponsored by Humana, highlighted by a free admission offer to all veteran and active members of the United States Armed Forces from Nov. 7-15. Throughout Veterans Week sponsored by Humana, all U.S. military personnel—including active, retired and reservists—can receive free admission by simply presenting their military identification at the Newport Aquarium ticket window. Additionally, when a military serviceperson presents their military identification at the ticket window, up to four family members can take advantage of Newport Aquarium’s everyday military discount of $3 off adult tickets and $2 off children’s tickets. All military members who visit the aquarium during Veterans Week will receive a special patriotic pin that will grant them access to front-row seating with their families during dive shows, otter talks and penguin talks, courtesy of Newport Aquarium and Humana. 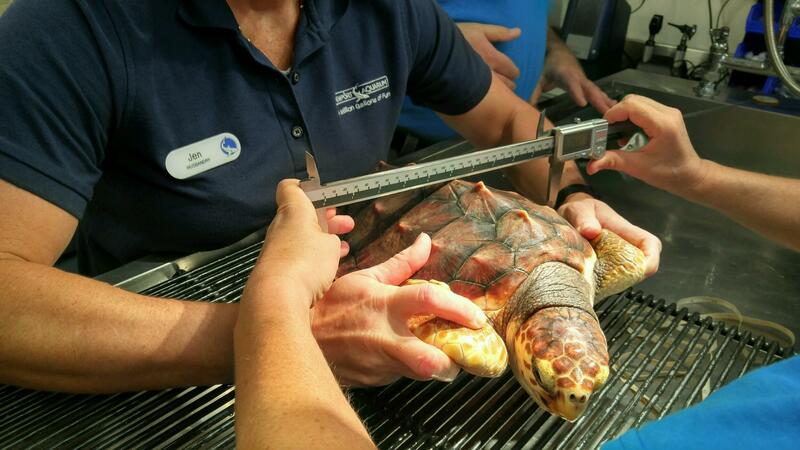 Paddles, a 1-year-old loggerhead sea turtle, receives her final physical examination from Newport Aquarium staff. 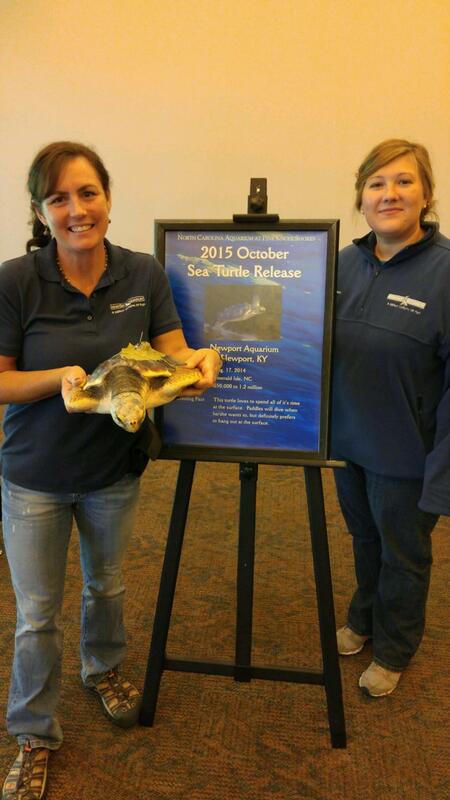 NEWPORT, Ky. — Paddles, Newport Aquarium’s one-year-old loggerhead sea turtle, will be released into the Atlantic Ocean on Wednesday, as a part of the North Carolina Sea Turtle Project. Newport Aquarium has partnered with aquariums across the country to participate in this project and aid sea turtle conservation efforts since 2003. Through the North Carolina Sea Turtle Project, newly hatched turtles that are at risk to not make it into the water are rescued and nurtured for about a year until they are strong enough to be released back into the wild. Newport Aquarium Biologist Jen Hazeres (left) holds up Paddles the sea turtle while posing next to a poster at North Carolina Aquarium at Pine Knoll Shore telling Paddles’ story with Water Quality Specialist Cameo Von Strohe. Two animal husbandry staffers from Newport Aquarium, Biologist Jen Hazeres and Water Quality Specialist Cameo Von Strohe, made the trip down to North Carolina Aquarium at Pine Knoll Shores to release Paddles into the Gulf Stream just this week. 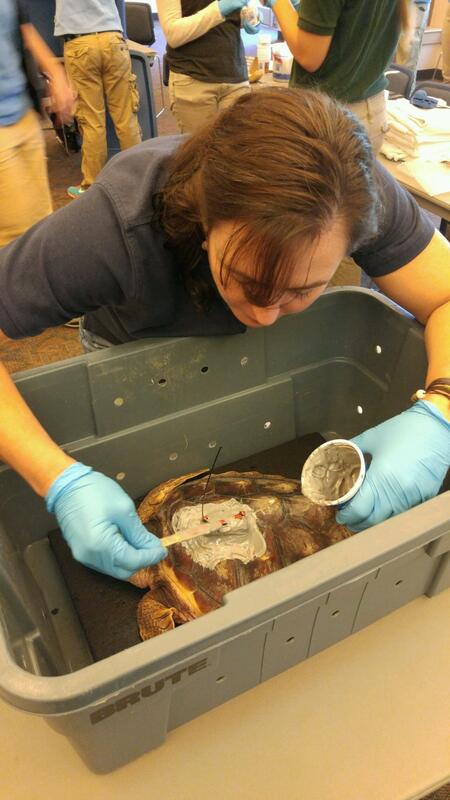 In order to better track her progress, Hazeres affixed a tracking device to Paddles’ shell. This device will make it possible for aquarium staff and guests alike to track her movements throughout the coming year. Sea turtle tagging also allows scientists and conservationists to collect more accurate data about the behavior and population of young sea turtles. 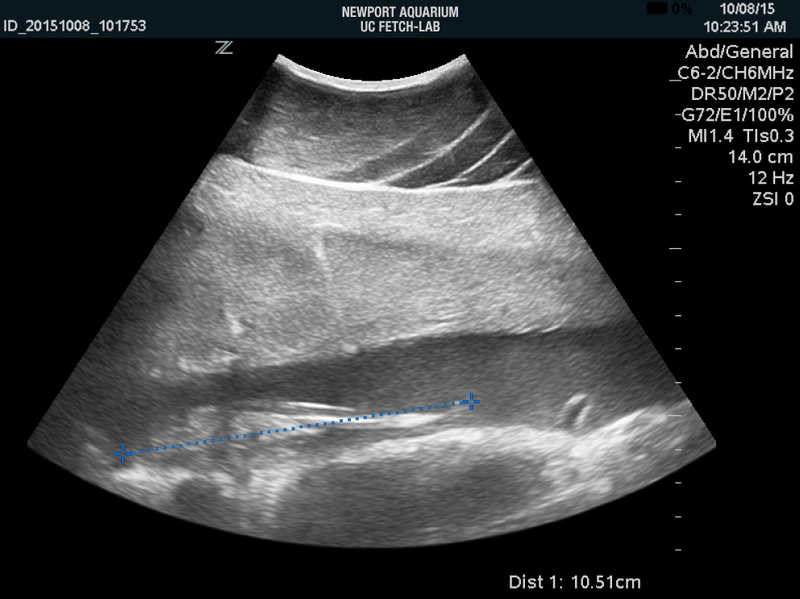 When Newport Aquarium received Paddles in November 2014, she was about the size of a deck of cards and weighed less than one pound. After spending a year at Newport Aquarium learning to swim, find her own food and coexist with other marine life, nine-pound Paddles will be released back into the Atlantic Ocean on Wednesday. Loggerhead sea turtles in the wild are threatened, which makes programs like the Sea Turtle Project integral to these creatures’ survival. Newport Aquarium Biologist Jen Hazeres placing a satellite tag on Paddles. Loggerhead turtles are listed as internationally endangered, meaning that we could see their species disappear in the wild within the foreseeable future. Adulthood for loggerhead sea turtles takes place between 17 and 33 years, making the journey to adulthood an arduous one. Only one out of 1,000 hatching sea turtles makes it to adulthood, meaning that only one turtle out of ten nests will survive to reproduce. The first several minutes after they hatch are when these turtles are most at risk, but the majority of problems threatening them later in life aren’t natural—they’re man-made, including the fishing industry and loss of nesting habitat. 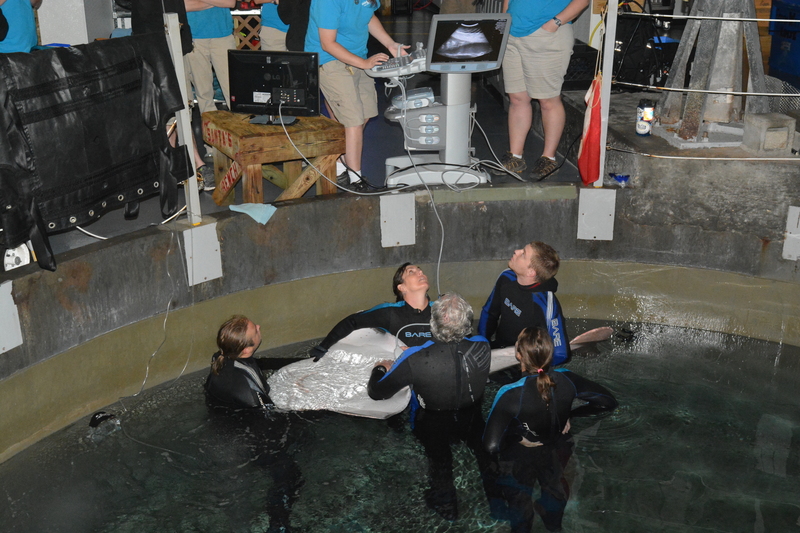 The WAVE Foundation, Newport Aquarium’s nonprofit partner, is responsible for organizing the Newport Aquarium’s involvement with this project every year. NEWPORT, Ky. — If you’ve been to Newport Aquarium, you’ve probably heard about, or even met, one of our beloved African penguins. 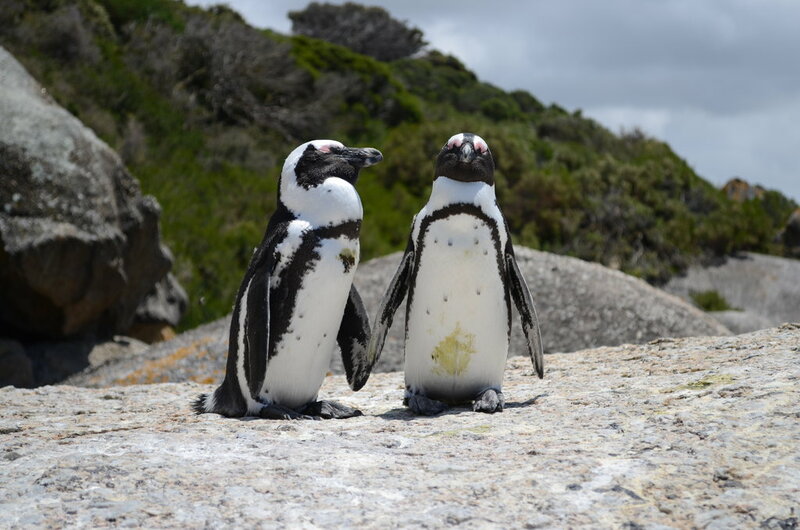 Oct. 17 is the perfect day to celebrate these birds with African Penguin Awareness Day, a day dedicated to raising awareness for African penguins and the factors threatening their species. “African Penguin Awareness Day is an opportunity for us to celebrate these unique birds, along with bringing awareness to their status as an endangered species,” said Ric Urban, chief conservation officer at Newport Aquarium and resident penguin expert. This international holiday was established by Southern African Foundation for the Conservation of Coastal Birds (SANCCOB), an organization supported by the WAVE Foundation, Newport Aquarium’s nonprofit partner. One of SANCCOB’s most significant projects is known as chick bolstering and involves the rescue, rehabilitation and eventual release of African penguin chicks that have been orphaned or injured. In the wild, these warm-weather penguins can be found living in colonies on the coastal islands that dot the shore of South Africa and Namibia. They prefer to eat anchovies, sardines and the occasional mollusk, and generally consume 14 percent of their weight in fish daily; the equivalent of a 150-pound person eating 21 pounds of food a day! What you may not know is that these adorable, tuxedoed birds are endangered. In the past century, the population of African penguins has plummeted from several million to roughly 30,000 as a result of pollution, global warming, egg harvesting and overfishing off the coast of southern Africa. This species needs our help. 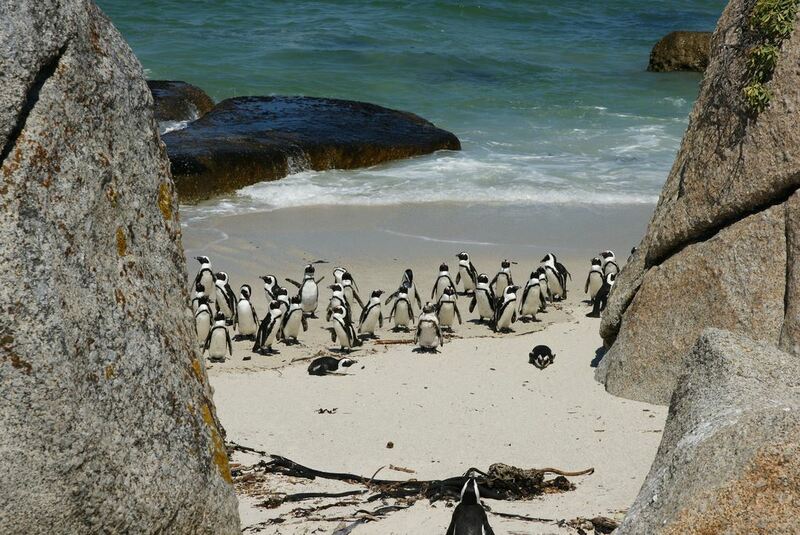 “If nothing changes, we could see African penguins disappear completely within the next couple of decades,” said Urban. With an estimated 1,000 African penguins under professional animal care globally, it’s essential that zoos and aquariums across the world work together to help this species in recovering. Because of their drastic population decline, African penguins were one of the first 10 animals named to the Association of Zoos & Aquariums’ SAFE (Saving Animals From Extinction) program that launched in May 2015. 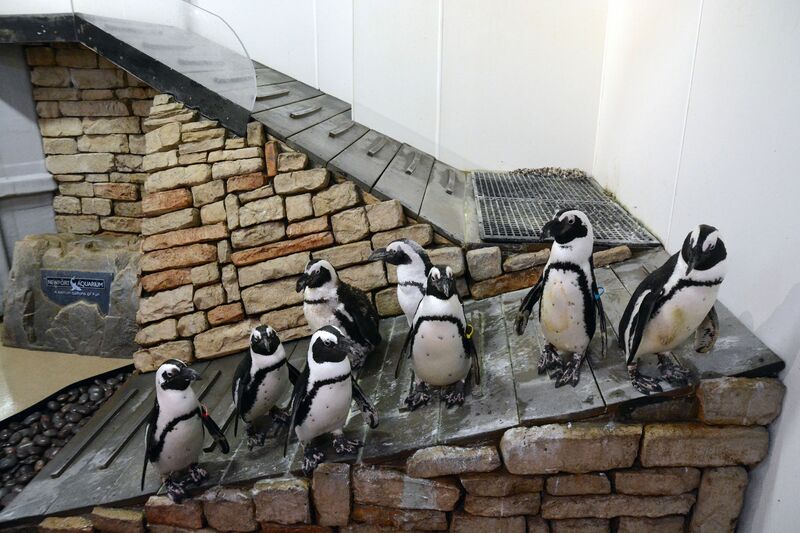 Newport Aquarium is home to eight African penguins — Paula, Randi, Simon, Sandy, Speckles, Blueberry, Green Bean and Red Pepper — all of whom were hand-raised, allowing them to bond with humans more easily. This makes them ideal for helping to educate the public about their species. As ambassador animals for Newport Aquarium, our African penguins aren’t on exhibit, but guests can meet them by going on a Penguin Encounter, which allows guests to interact with these birds in small groups, along with opening up discussion about this threatened species. While both Newport Aquarium and the WAVE Foundation have brought awareness to these birds through community outreach, monetary contributions and knowledge exchange, we need your help. 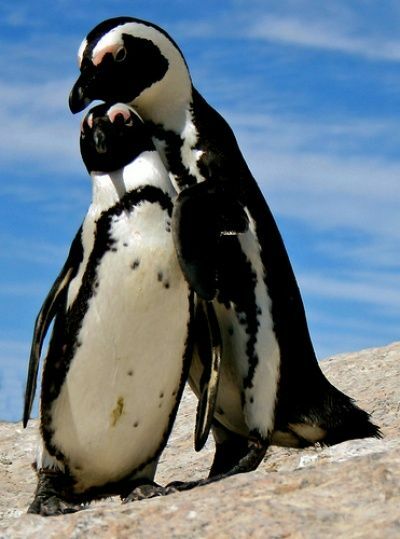 These penguins need our help every day, but African Penguin Awareness Day is a great place to start. 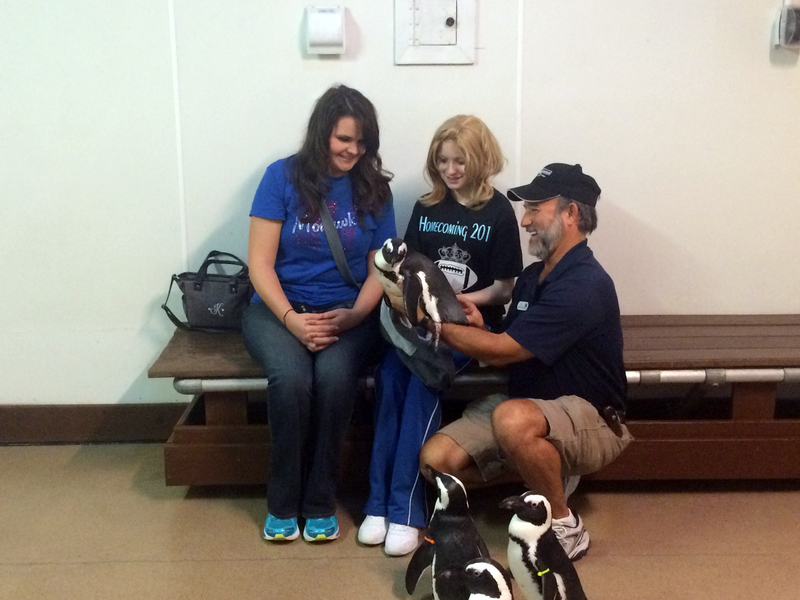 Arion Smith (left) and Destiny Freeland (center) met Paula the penguin while learning about African penguins from Newport Aquarium Chief Conservation Officer Ric Urban. 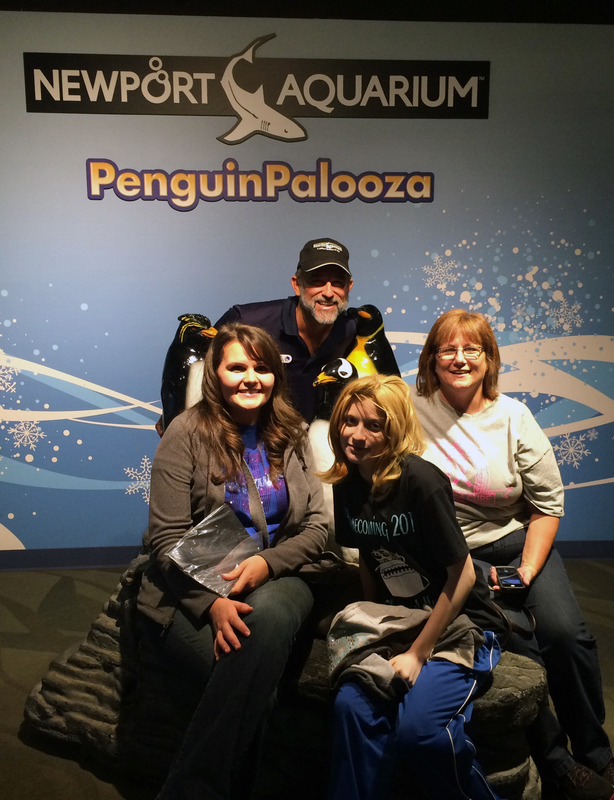 NEWPORT, Ky. — Newport Aquarium on Saturday morning provided an ill middle schooler from southern Ohio with a VIP tour and Penguin Encounter as part of her fun-filled weekend planned by a former Cincinnati Ben-Gals cheerleader. Destiny Freeland, a seventh-grade cheerleader from Northwest Middle School in McDermott, Ohio, was diagnosed with Ewing’s Sarcoma, a form of bone cancer, when she was 8 years old, undergoing many surgeries and treatments since. The years of battling cancer have taken Freeland’s ability to cheer and she attends school as her body permits. Northwest Middle School teacher Arion Smith (left) and Destiny Freeland watch sharks swim overhead with Newport Aquarium Chief Conservation Officer Ric Urban inside the tunnel of the Surrounded by Sharks exhibit. Newport Aquarium Chief Conservation Officer Ric Urban led Freeland and two of her teachers and cheerleading coaches, Arion Smith and Cathy Knauff, on a personalized tour of the facility, highlighted by hanging out with the Aquarium’s famous African penguins inside The Penguin House. Freeland’s mother was unable to accompany Destiny on the trip because she herself is also battling cancer. 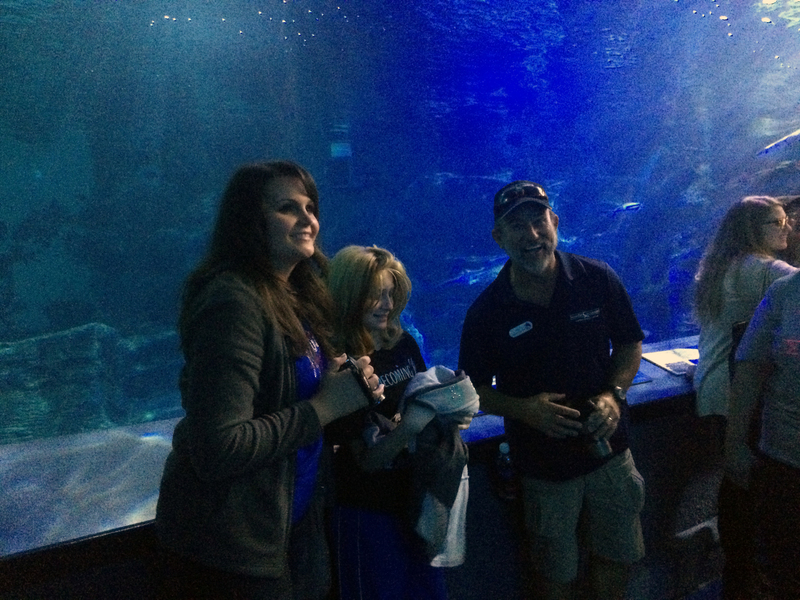 Freeland’s tour of Newport Aquarium was part of a weekend trip to Cincinnati arranged by former Cincinnati Bengals cheerleader Lindsey Cole Vaughn, who cheered at neighboring Wheelersburg High School. Once she learned of Freeland’s story through her former Wheelersburg H.S. cheerleading coaches, Vaughn immediately began planning a weekend to trip to Cincinnati for Freeland, capped off by attending the Bengals home game on Oct. 11 and meeting the Ben-Gals. Newport Aquarium Chief Conservation Office Ric Urban photobombs a picture of Arion Smith (left), Destiny Freeland (center) and Cathy Knauff. Vaughn started a GoFundMe page to help raise money for Freeland’s trip. On Sept. 30, Vaughn went on the Scott Sloan show on Cincinnati’s 700 WLW-AM to raise awareness and money for Freeland’s visit to Cincinnati. Vaughn said that she wanted to provide Freeland with some fun Cincinnati experiences during her time here, mentioning Newport Aquarium specifically. The Hampton Inn & Suites Cincinnati/Uptown-University Area has offered Freeland a complimentary room and a few local restaurants are providing her with free meals during her trip to Cincinnati.